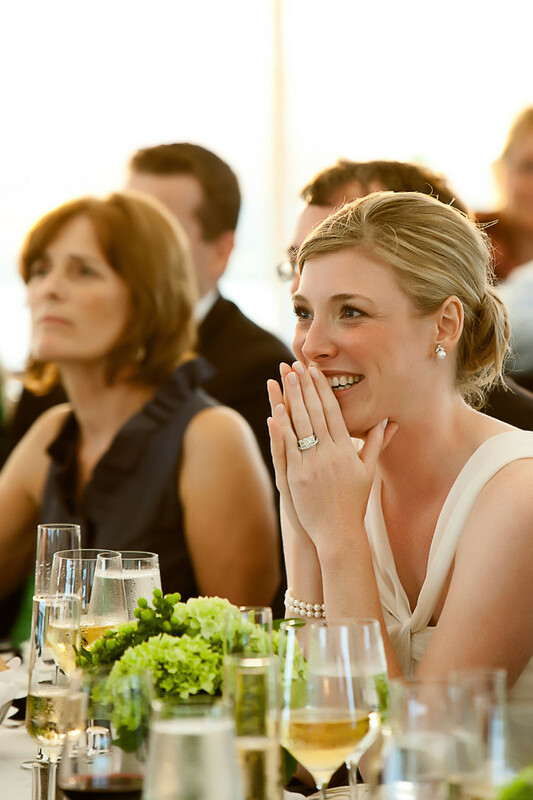 A bride reacts to a speech at her wedding reception on Nantucket Island. It was a relaxed nautical themed affair in a tent on the oceanside which also featured vintage croquet. Coverage began with a welcome reception, rehearsal dinner and ended with the wedding. Destination weddings offer a unique opportunity for extended coverage of wedding events like Welcome Receptions, Rehearsal Dinners, Brunches and even a Day after Session in a special location.